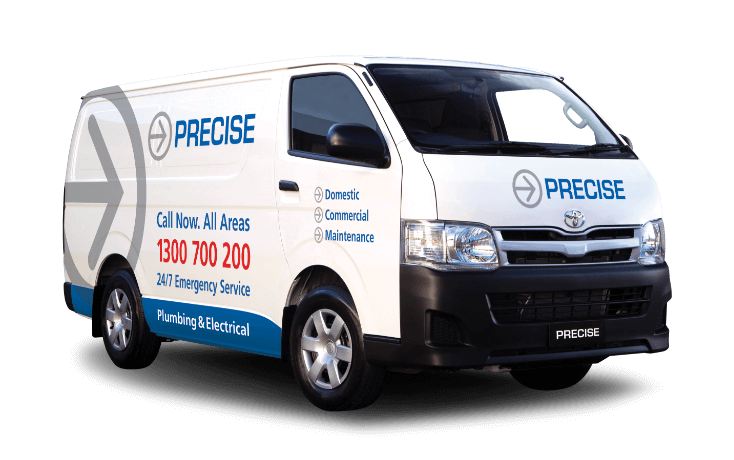 Precise Plumbing and Electrical is a proud South Australian maintenance services company, specialising in all areas of commercial, industrial and residential electrical maintenance work, 24 hrs / 7 days across all metropolitan Adelaide. Whether your needs include lighting, communications, power loss, air conditioning, solar or general work, our licensed, skilled and accredited Adelaide electricians are here for you. With up to date industry knowledge, licenses and experience, you can rest assured that you’re in safe hands and dealing with a professional company. Call us anytime on 08 8152 6740 to discuss your requirements with our friendly customer care staff or send through your job request through to our book online section. Rest assures you’re in safe hands. At Precise Plumbing and Electrical we have successfully completed over 180,000 jobs since 1999. When it comes to your home’s electrical job, make Precise your #1 choice. Our electricians in Adelaide work tirelessly from our end to ensure that our customers receive a fixed upfront price on every job, ensuring complete transparency, putting the ball in your court. All our invoices are well explained, clear and concise ensuring anyone can understand the work performed onsite. Our vans are stocked and equipped for immediate dispatch, maximising our efficiency onsite. Each van is GPS tracked, providing real time data, ensuring a prompt, complete and professional service delivery. Our on-call office staff are available for emergencies, 24hrs a day for your convenience. Our aim is to continually raise the bar when it comes to industry best practices and always strive to deliver a better service as Adelaide’s premier electrical service provider. At Precise Plumbing and Electrical we offer you a 100% satisfaction guarantee on your job. On all our services we offer no obligation fixed upfront pricing, so you never have to worry about hidden charges ever. We guarantee to answer your call day or night. On top of everything we back each and every job with a lifetime workmanship guarantee. At Precise you’re in safe hands. Precise Plumbing and Electrical has proudly upskilled more than 47 young South Australian apprentices. We value our community and work hard to make this state better. We promote South Australia, buy South Australian and are Proudly South Australian owned and operated. In short, we love our state! Why Use Our Adelaide Electrical Service? No-obligation fixed upfront pricing. No hidden charges. We guarantee to answer your call day or night. Lifetime workmanship warranty on all our jobs. Guaranteed afterhours and aftersales service. We’re here for you! Jump the queue with precise membership including exclusive offers, priority service, home safety inspections and fixed price solutions. “Your Tradies are amazing!! Helpful, friendly and polite!! We have used both your Electrical and Plumbing Services in the last year and couldn’t be happier with the service your guys have provided to us, nothing is too much trouble. We would really like to thank, Brock (Plumber), Clay (Electrician) and Brock (Electrician) for all the help they have given us. Happy to recommend you to anyone that needs work done. Downlights, lamps, timer switches, dimmers. Globes, lamps, fittings, path and stair lighting. Commercial emergency / exit lighting.